There is snow on the ground and anticipation in the air. The holiday decorations are out and lights twinkle everywhere. The house smells of baking happiness and the kids are more willing to serve others and spend time with the family–in fact, they want to. One of my favorite Christmas traditions in my family is the white stocking. It is taken down from the tree each year on Christmas eve and we pull out the slips of paper inside (that we wrote down last Christmas eve). The white stocking is the Christ child’s stocking…and the story behind it (that I’ll summarize) is that all the other stockings are filled and presents are given out at Christmas time, but one stocking was left forgotten–the Christ child’s, whose holiday it is that we celebrate. To correct this wrong, each family member writes a gift that they will give to Christ in the coming year–a goal they will work on, an attribute they will try to develop, service they will give, or strengths they will build on and improve. We commit to do whatever it is we wrote down, then stick it in the white stocking to pull out the next year and see if we did it. Since it’s easy to forget, I’ve started keeping the white stocking out in a drawer that I can take out occasionally and say, “Do you all remember what you were going to do for Jesus this year?” And if we’ve forgotten, we remind ourselves and get back on track keeping our commitments so we have given a gift to our Lord and Savior who has done everything for us. There are tons of fun traditions involving games, presents, yummy treats, and friends and family, but this one has remained our family’s favorite. It doesn’t require money; all it needs is part of our heart. We can’t skip it…or it wouldn’t be Christmas. 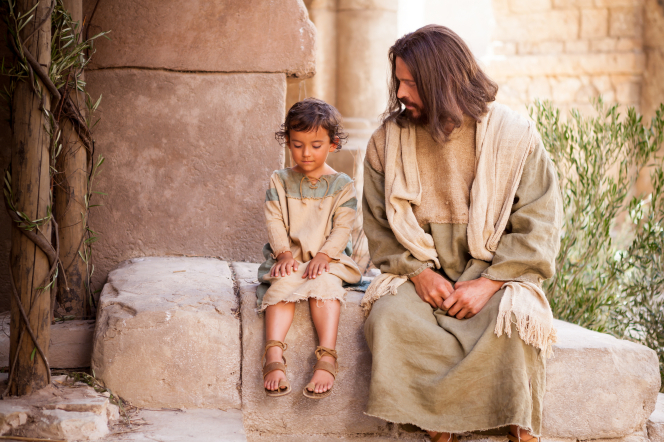 Do you have any traditions in your family that bring Christ more fully into your lives? Feel free to share with us in the comments.